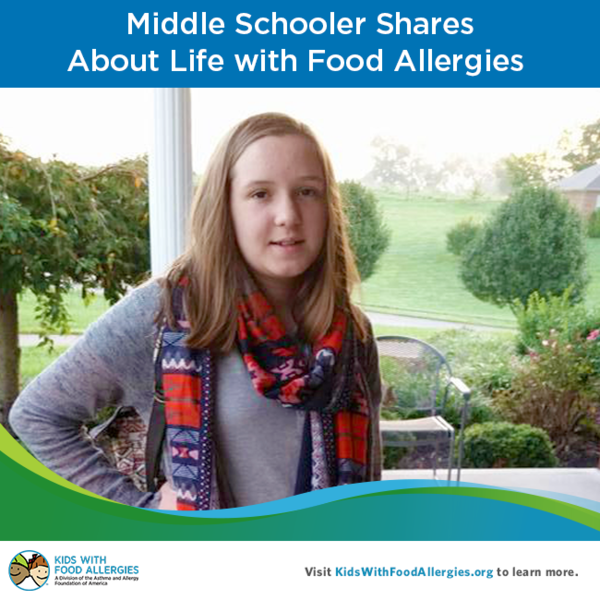 Meet Nevada, an active seventh grader, who tells both younger students and adults about living a full life with food allergies. 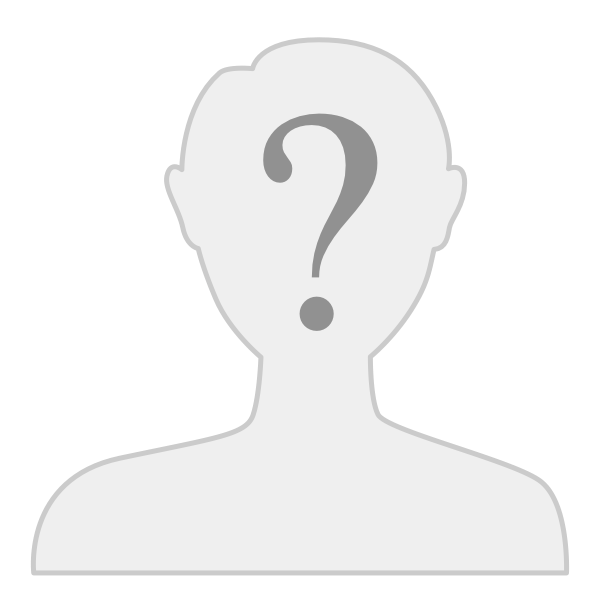 She participates in archery, track, and chorus and she is an excellent student in her Kentucky school. She’s active in her church and enjoys spending time with her two sisters and brother. Do not let food allergies keep you from trying new things. I have tried dance classes, archery, track, chorus, karate, summer camp, swimming and many more. My mom makes sure to educate everyone about my food allergies and always volunteers to send in safe snacks to share. Because I have tried new things, I know what I like to do. When people ask me to tell them about myself, I say, “I am an archer, I am a singer, and I love to dance. I am not just the girl who is allergic to nuts." Read ingredients now. My mom has always included me in reading ingredients since I was little, for food and other products. It is good practice. I have the confidence to ask friends and adults who offer me food if I may read the ingredients before I eat something. My advice is to practice reading labels at home so when you become older you feel comfortable protecting yourself. Always have safe snacks. My mom makes sure I have safe snacks for “just in case,” and if I am uncomfortable about eating other food, I know it is okay to eat my food and politely decline. Help with cooking and grocery shopping now. I help my mom and it is good practice for when I am an adult on my own. I can see what is in my food when I help to buy it and prepare it. I want adults to know that it is hard to have food allergies. I am left out of fun things, or even regular things, sometimes because of my food allergies to peanuts and tree nuts. Tree nuts and peanuts can kill me. When adults don’t understand that, it makes me feel unsafe. When someone has nuts around me, it is scary and I have to remove myself from the area. Sometimes, I get embarrassed when I have to leave because it brings attention that I don’t want on myself. I just want to be a kid and have fun. I have been taught to be respectful of adults. I don’t want them to think I am being rude or disrespectful because I ask to read ingredients or have to leave because I feel unsafe, especially when I know that they are not trying to be dangerous around me. I feel bad when I am invited to parties and have to decline because there will be food. I don’t want parents to think I don’t like their children who are my friends. I don’t want my friends to have to change their party because of me - it is their special day. Now that I am older, I have less monitoring at home and school because I am learning to be more responsible and aware of my food allergies and regular things. This is scary because it is true for the other kids my age - they have more responsibilities and have less monitoring, too. Just because they shouldn’t have peanut M&Ms in class, doesn’t mean they will follow the rules. I am grateful for the kids who wait until I am not in class and grateful for the adults that enforce the rules to keep me safe. Also, it is a little scary to be responsible for my food allergies, I don’t want to make a mistake. Sometimes adults assume it is okay to have nuts around me because I have epinephrine. My epinephrine makes me feel safe because I know I can use it. But I don’t want to use it if I don’t have to. It is an injection that goes in my leg! Sometimes adults assume that my food allergies are not a big deal because I haven’t had a reaction in a couple of years. That is because we are careful to avoid tree nuts and peanuts all of the time. We prepare the majority of our food at home, bring my food with me when we can and the school lunches are nut free. When the epinephrine runs out, my reaction begins again. I have to be hospitalized and monitored until the allergen is out of my system. When an adult has gone out of their way to be sure I am safe and am included, this makes me feel very happy because I can just be a kid. What helps make things better? My mom and grandparents do not allow nut products at home. This gives me two places where I always feel safe and I do not have to worry about my food allergies. My mom is always reading about recalls and what is safe to buy. We cook most of our food and my mom lets me help. I love to cook and bake. We have a system for shopping for food. 1) We read labels before it is put in the cart. 2) We read labels when we unpack groceries and put them away. 3) We read labels before we prepare the food. 4) I read the labels one more time before I eat the food. My mom researches restaurants and calls ahead before we dine. She wants me to practice how to be in the real world. My mom makes sure I am safe at school and my school makes sure I am safe, too. Sometimes we don’t know about a situation until it happens. My school works with us to educate others and makes a plan to keep me safe. I have a 504 meeting every year. This year, I was allowed to attend and participate in the meeting for my 504 for next year. My mom makes sure to fill lots of epinephrine. There is one set at my grandparents’ house, two sets at home, I self-carry a set, my mom carries a set and the school has two sets. She keeps expired ones and we practice on grapefruit so I am not scared if I have to use it. She and my siblings practice, also, just in case they have to give it to me. She lets the school practice with them also. It feels different than the trainer. There is an app that my mom uses to keep track of epinephrine expiration dates. It notifies her when it is about to expire. She keeps a spreadsheet so she knows where the epinephrine is located (at school or home) by the lot number and what the expiration date is. She is teaching me how to do this so I can learn how keep track. My mom is getting me ready for the real world, but makes sure I am safe while I am a kid. We are practicing what to do, so that when I am an adult, I can take care of myself, make my own choices, and protect myself. Thank you for posting this! Your words are helping others who go through this every day. I am a mother of a happy, healthy 15 month old daughter who has many food allergies. Thank you! I love this post for so many reasons. Bravo to mother & child both!! It sounds like Nevada has been taught well and is a well-rounded young lady. Best wishes to both of you. What a great article by a very brave and responsible girl! And kudos to her mom too, for doing such a great job educating her daughter to advocate for herself and being so diligent with her family's food and epi-pens. I just got a lot of great ideas for my daughter who is allergic to peanuts, tree nuts, dairy, eggs, sesame and sunflower. Thank you. I am very proud of her.